As far as personal care products go this is generally the first one to pop into our daily routines, and with the recent start of the school year I have heard from countless parents that their young daughter or son has started to notice that they smell a little bit under there, and they are starting to feel a little self-conscious, so have been asking if they can buy some deodorant. What strikes me is how many parents are caught off guard with how much earlier their own children are developing compared to when they were growing up. Children as young as 7 are starting to notice their own body odour and I have met parents of 8 and 9 year old girls who already have their periods. It’s a daunting time to be a parent all right. They seem barely out of the sandpit and yet here they are beginning their daily toiletries routine! So what are the options? And with so much more information around these days how can you help to guide your child to make conscious and healthy decisions right from the start? How can you help to protect your child from the harsh reality of toxicity and disease that builds up as a result of using common, widely used, freely available, sweet smelling, pretty packaged chemicals that are hidden in most of the commercial products that they will begin to experiment with putting in and on their bodies everyday? How can you protect yourself? First and foremost, I am yet to find a single deodorant stocked on a supermarket shelf that does not contain at least one toxic and dangerous ingredient. Moral of the story… BUY THEM ELSEWHERE!!! Some people will suggest that small amounts of certain chemicals are not dangerous and can therefore be used with a level of safety, but I would refute that for a number of reasons. The area of skin under your arm can be warm, hot and/or moist at any point during the day, or for a large portion of it. I wouldn’t be surprised if this means that more than 80% of the substances you put under your arm are absorbed directly into your bloodstream. For most people, once they start using deodorant, they will continue to use it everyday for most of their lives. That is A LOT of toxic build up. All of a sudden that low dose of chemicals that you’re putting under your arm everyday doesn’t seem so low dose anymore does it?! When it comes to choosing your deodorant, or your child’s, there are definitely some ingredients that you should stay far, FAR, away from. Many people have heard of the dangers of aluminium in deodorants, the compounds of which (aluminium chlorohydrate, aluminium chloride, aluminium hydroxybromide, aluminium zirconium, tetrachlrohydrate gly, anything-alum) block the sweat glands to create that ‘anti-perspirant’ effect. Firstly this is not healthy for the body as sweating is a natural process that allows our body to regulate our temperature and remove toxins, and secondly aluminium is a known neurotoxin (substance toxic to the brain) and has been found in higher concentrations in the brains of people with Alzheimers disease. Aluminium salts have also been shown to mimic the effects of estrogen which can create all kinds of havoc, not the least of which is increasing your risk of cancer, particularly breast cancer. For women in particular the proximity of the breast to the underarm, coupled with the skin damage caused by shaving can lead to a higher absorption rate of these toxic products. * A note with crystal deodorants: these are generally natural salts of potassium alum (potassium aluminium sulphate) or ammonium alum and are made up of molecues too large to be absorbed by the skin. They create a protective barrier that inhibits the growth of odour causing bacteria, and whilst they are a better alternative to most deodorants and certainly anti-perspirants, they are not completely aluminium free. Parabens are another big no-no when it comes to personal care products, but unfortunately they are present in just about every commercial skin/body/haircare product around. Parabens (methylparaben, ethylparaben, butylparaben, benzylparaben, propylparaben etc) are commonly used preservatives that disrupt normal hormone balance and can lead to early puberty in children (not great if you’re already freaking out over deodorant use!!! ), organ toxicity and hormone-related cancers, particularly breast cancer. Since women are eight times more likely to develop breast cancer in the area of the breast closest to the armpit it makes sense to stay away from substances that may promote the growth of cancerous cells. Triclosan is a super nasty ingredient, and whilst it might sound all sanitary and is indeed an antimicrobial chemical and preservative, it unfortunately kills good bacteria as well as bad, and is a skin irritant which may cause contact dermatitis. Fascinatingly it is classified as a pesticide by the USA FDA (a great reason on it’s own to avoid it! ), and the American Medical Association advises against it’s use in the home as it may encourage resistance to antibiotics! Triclosan is another hormone disruptor, and has shown up in human breast milk and blood! Disturbingly I have also read that triclosan reacts with tap water to create chloroform gas! That would not make for very safe showering!! Propylene glycol is a known to cause damage to the nervous system, kidneys, liver and heart. It is a strong skin irritant shown to cause contact dermatitis even in low concentrations. All chemicals in use have corresponding Material Safety Data Sheets (MSDS) and the MSDS for propylene glycol advises that it causes skin and eye irritation, gastrointestinal irritation, nausea, headache, vomiting, and depression of the nervous system. Unfortunately it is still present in many “natural” deodorants. Talc – good old talcum powder is used as an absorptive agent in personal care products. The problem is that talc MAY contain asbestiform fibres, and if it does it is classified as a carcinogen. The next problem is that the level of asbestiform fibres in cosmetic grade talc is completely unregulated, so you have no way of knowing if you are buying a product that is carcinogenic or not. Steareth-n (n stands for any number) are compounds prepared by reacting stearyl alcohols with ethylene oxide. This creates waxy solids used as emulsifiers in cosmetics. Whilst they may seem somewhat inert, ethylene oxide is a known carcinogen, and the process also creates other carcinogenic compounds (1,4-dioxanes) during manufacturing. Better to be safe than sick! So what’s the alternative? Perhaps understanding what’s going on may help shed a little light on how we can address the CAUSE of the problem. As I mentioned sweating is a natural process, it is a cooling mechanism of the body and helps to regulate our internal temperature so that we don’t overheat and die. The sweat is not what makes us smell, it is the natural bacteria present on our body that actually feeds on this sweat which creates a by-product of body odour. This odour is different for everyone and changes depending on what you eat and your body composition. Any natural solutions to this odour should not just mask the smell or block the sweat glands but address the cause with ingredients that are naturally anti-bacterial. There are various ingredients which can achieve this for example baking/bicarbonate soda, tea tree oil, and lavender oil and these are the types of ingredients that should feature in a natural deodorant to make it effective. Other helpful ingredients include organic clays, corn starch and arrowroot (for absorbing moisture) natural oils, waxes and butters such as coconut oil, shea butter, cocoa butter, beeswax, carnauba wax (for consistency, allowing the product to be solid/semi-solid at room temperature and then ‘melt’ under your arms, to moisturise and love your skin, to hold the other ingredients -clays and oils- together) and essential oils (to work as anti-bacterial agents, to balance the skin and to provide scent). 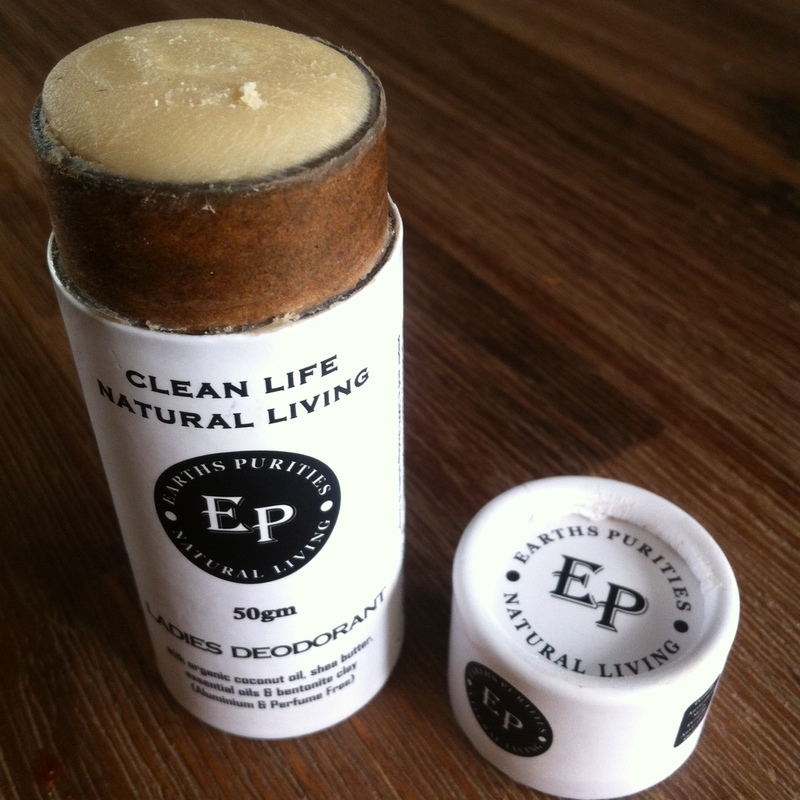 I am seeing more natural deodorants make their way onto the market and there a few I have tried and loved and I have had good recommendations on others also. 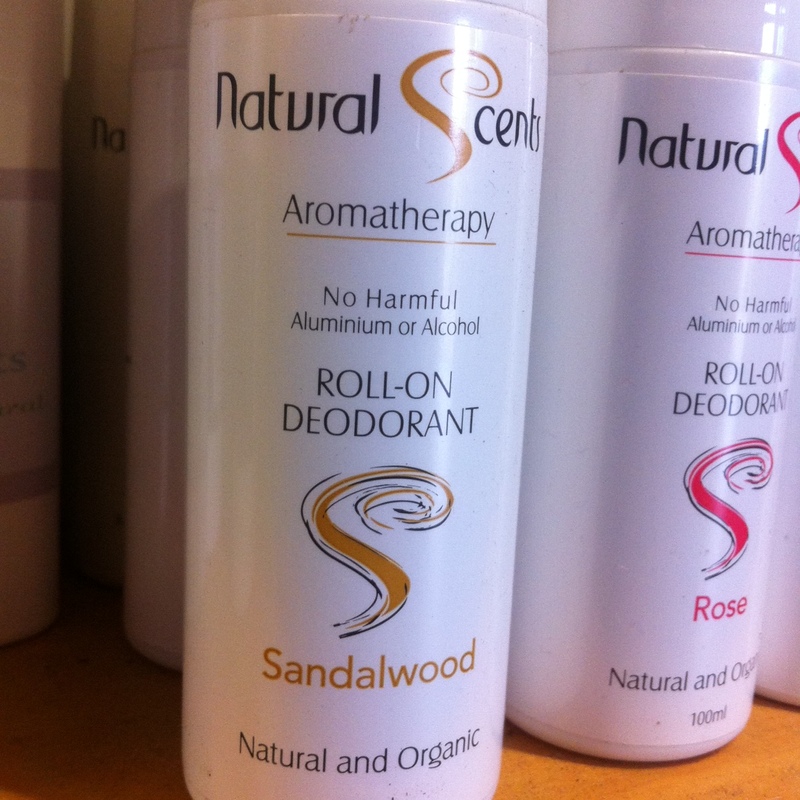 NaturalScents Sandalwood deodorant was my first foray into natural deodorants when I was living in Cairns. The owner and maker of these wonderful products still has his own stall at Rustys markets and creates a beautiful range of essential oil products suitable for everyone. I was drawn to the sandalwood after listening to Nadine Artemis (aromatherapy Goddess!) talk about how sandalwood has a particular affinity for the type of skin cells under the arms and actually helps to stop the production of bacteria that causes body odour! Now seeing as pure sandalwood oil was frightfully expensive I decided to find an alternative option that wouldn’t break the bank. Enter Natural Scents. It is a wonderful product that comes as a roll-on (it is a liquid compared to the others that are solid/semi-solid sticks) and I found it most helpful at keeping the odour at bay living in such a hot and humid climate. 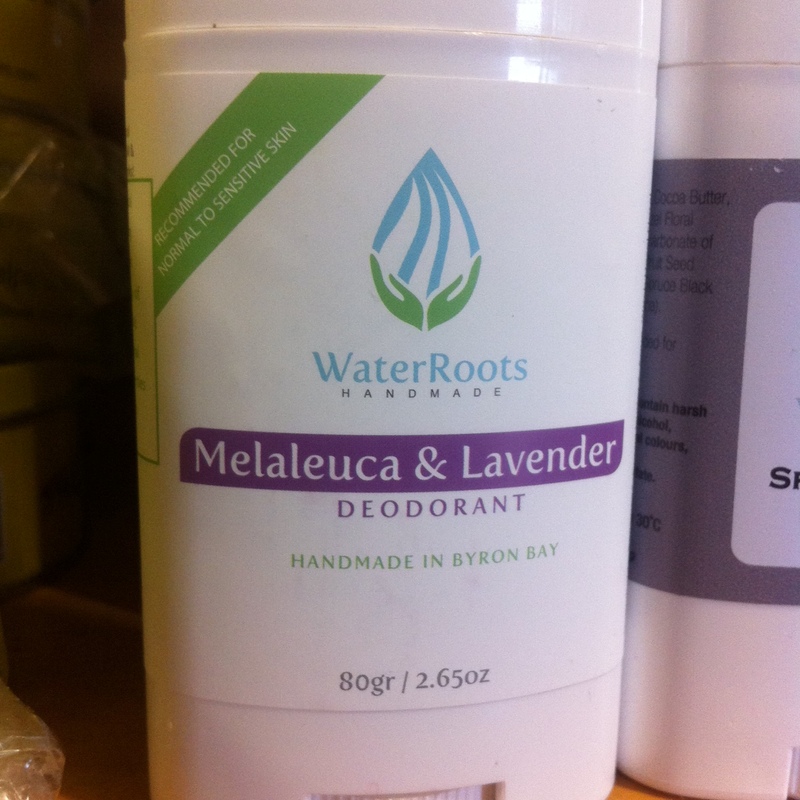 Last year, and 1830km away, a lady popped into the health food store I was working in with her new handmade local deodorant, WaterRoots and offered me a sample. This time in a plastic wind-up stick dispenser I immediately fell in love with the formula and have switched SO many customers across to this brand it’s ridiculous. It lasts all day, even in a hot store with no a/c in the middle of summer whilst making coffees and unpacking boxes! It helps that it’s locally made (Byron Bay) as this ticks many peoples sustainability and community values too! There are three ‘flavours’ Melaleuca & Lavender (pictured, and my favourite), Spruce the Brut (for men) and Mandarella. And most recently, Earths Purities, and I love it even more! It is an awesome formulation, is SUPER-effective, smells great, lasts all day and night long and comes dressed in gorgeous responsibly sourced recycled paper packaging that is 100% biodegradable and compostable, and printed with soy ink! Win for your underarms, and a big win for the planet! There’s a men’s and women’s formulation and it’s made just up the road on the Gold Coast which isn’t too far from home either. 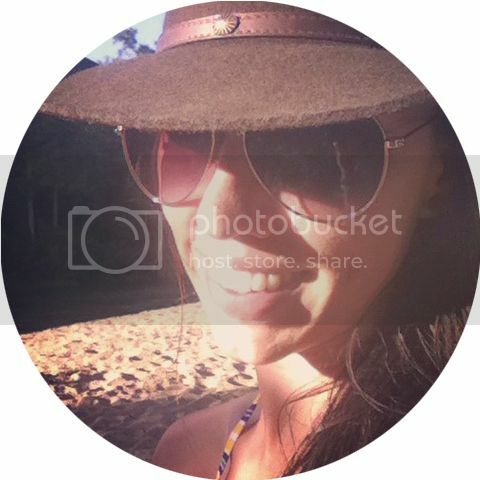 I have also heard and read many great reviews about the Black Chicken Axilla deodorant paste. Whilst I think the formula is good (and similar to some of the above) I am not too keen on putting my fingers in a pot and applying my deodorant by hand. But that’s just me. I have met many converts and many who energetically took up the challenge only to find that after a week or so it was not for them. In any case it’s great to see so many natural options starting to make their way onto the market. A word about detoxing – YES, if you have been using a chemical deodorant or anti-perspirant up until now it is very likely that when you switch to a natural deodorant that your armpits are going to go through a detox period! YAY! This is a period of time in which your assaulted armpits start to restore their natural pH balance and allow the sweat glands to release all of the built up toxins that accumulated from using those horrible chemicals. This detox period varies from person to person but you may experience symptoms for a couple of days or a couple of weeks. The important thing is not to hijack your progress by going back to the same old same old and thinking that you already had the solution. You didn’t. That’s like spraying floral freshener around the toilet stall and thinking that you’ll actually get rid of the smell. You don’t, and you wont. Best to just put the can down. Detox symptoms may include odour, redness or a rash, but it’s only temporary. It is important to let your body sweat, and doing so allows the release of toxins from the body, your underarms included, it is actually a VERY important cleansing process for the whole body and switching to a natural deodorant is a great first step in the right direction.